VRLA has announced that their 2018 convention will be held on May 4 and 5! VRLA is the largest VR / AR convention in the world, with 10,000 attendees last year. They are returning to LA Convention Center this year on May 4 and 5. We’ll see exhibits for Oculus Rift, HTC Vive, Microsoft Mixed Reality (formerly called Hololens), Sony PlayStation VR, Samsung Gear VR, Google Daydream, and others. We should also see exhibits of Apple’s ARKit and Google’s ARCore, their smartphone-based AR systems. Besides VR and AR headsets, we will also see 360 cameras and rigs from cameras such as Ricoh Theta, Insta360, and Kodak PIXPRO. I’m definitely going to be there! Los Angeles, CA (August 30, 2017) – VRLA, the premiere virtual and augmented reality expo for industry professionals and consumers alike, will return to the Los Angeles Convention Center on May 4 & 5, 2018. Following its largest event ever in 2017, with nearly 10,000 attendees, VRLA 2018 will feature an even bigger lineup of keynote speakers, demos, educational sessions, experimental work and presentations from VR/AR industry leaders. The exhibit hall will feature the latest immersive games, films and installations for Oculus Rift, HTC Vive, Samsung Gear, Microsoft HoloLens, Google Daydream, Sony PlayStation VR and more, along with industry-leading hardware, software developers, content creators and innovative prototype technology. 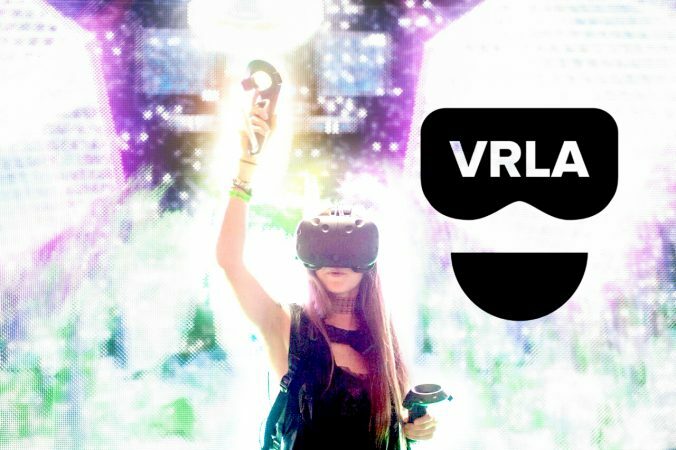 Past VRLA events featured “Rick & Morty” co-creator Justin Roiland, comedian Reggie Watts, Unity CEO John Riccitiello, AMD Vice President Roy Taylor and more as keynote speakers; a first of its kind mixed reality Easter Egg hunt; a VR Rave presented with groundbreaking tech from TheWaveVR; a Girls Make VR educational workshop; 360° domes featuring the work of visionary artist Android Jones; panels and presentations from industry thought leaders; the debut of professional and consumer products and demos from Intel, Facebook, Unreal, Machinima, Ultrahaptics, Kite & Lightning, HypeVR, Mindshow, OTOY and more. More details about VRLA 2018, including exhibitor and sponsor submissions, passes, schedules and a full lineup of speakers and exhibitors, will be available in the coming months online: www.virtualrealityla.com.